You will love this Bohemian inspired hobo bag! 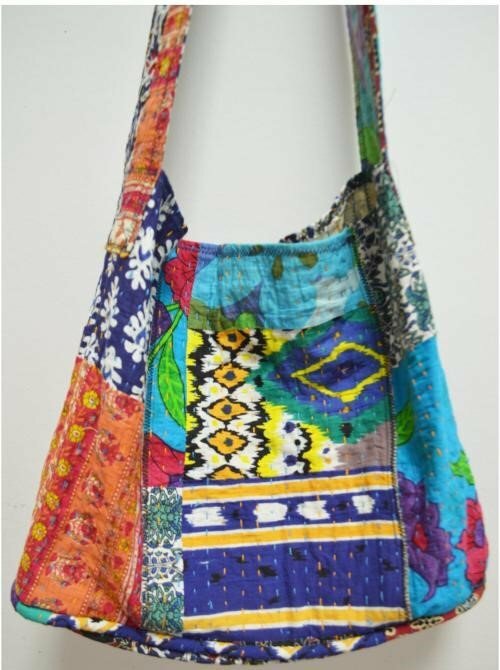 Learn to work with Kantha cloth, make a piping edge around the bottom and finish this simple bag like a pro. Add your own details such as fringe tassels and shisha mirrors.